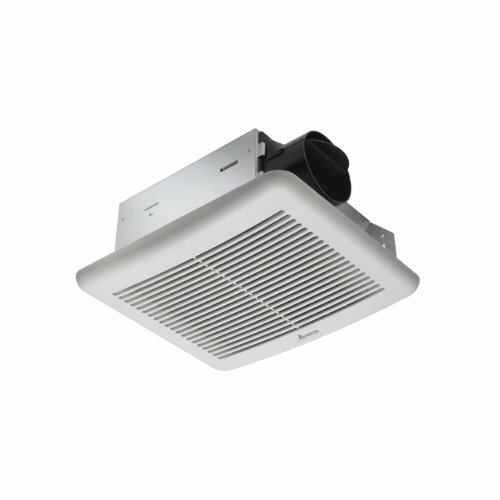 The Delta BreezSlim SLM70 is a compact-sized, low noise, valued priced ENERGY STAR qualified fan. Perfect for single home retrofits as well as large multifamily projects. UL listed for both ceiling and sidewall installation. Fits inside a 4" wall. Air flow of 70 CFM with loudness rating of 2.0 sones. Features a DC brushless motor for extended reliability and low power consumption. 13.1 Watts with efficiency rating of 5.8 CFM per Watt. ENERGY STAR qualified and HVI certified. Remove air wherever needed with Broan compact ventilation fans. 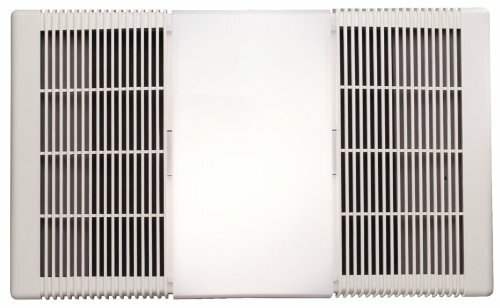 Metal grille kit S97011308 (available separately). 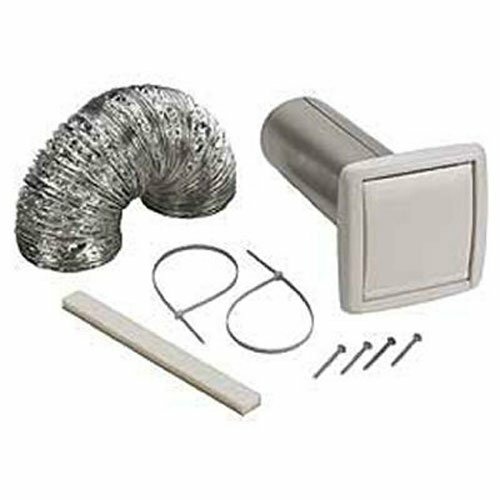 The No one WVK2A Flexible Wall Ducting Kit includes a white polymeric wall cap to cleanly finish off the installation. 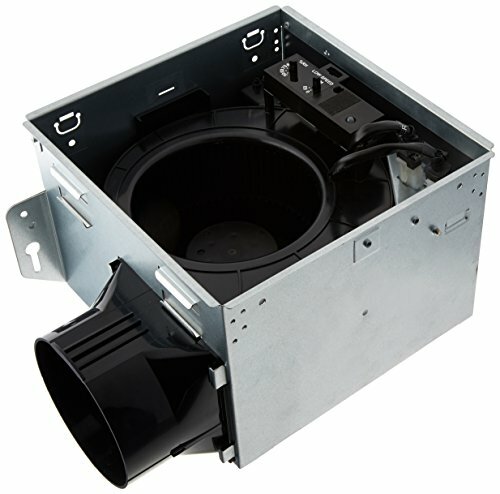 Kit contains 5-feet of 4-inch flexible 2-ply aluminum ducting, 10-inch long 4-inch diameter metal duct connector, zip ties and a 4-inch to 3-inch reducer, an engineered resin material wall vent and mounting screws so you have everything you need to complete the installation. Duct conforms to UL181 Class 1 air connector requirements. Not for use with dryers. ENERGY STAR retrofit fan available. 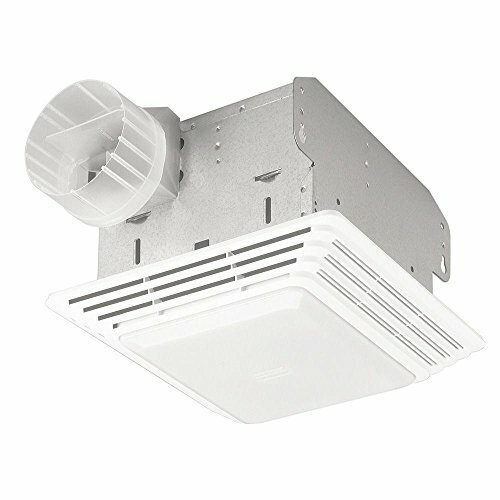 Air King's BFQ110 from the Air King BFQ High Performance Exhaust Fan Fan series features an unique Snap-In Installation System. The included bracket nails or screws to the ceiling joist allowing the fan Housing to "Snap-In". Connect the wiring and the ducting, install the easy fitting grill and you are done. A bath fan installation can now be done in minutes. The durable high impact plast housing ensures quiet operation and maximum performance. 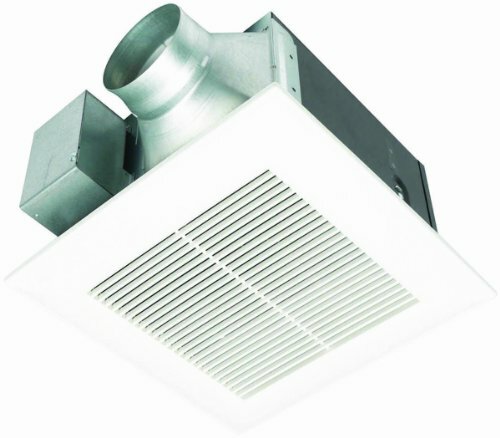 High performance, attractive stylized grill and quick installation make the High Performance Exhaust Fan Series right for the job. 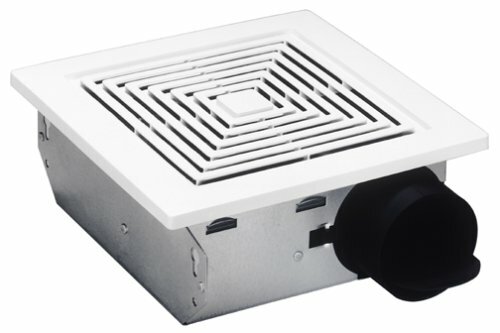 UL Listed for installation over a tub or shower on a GFCI circui using 4" round ducting. Motor is HVI certified. Wire nuts and Romex connector are included. 100 CFM at .1SP. Operates at 3.5 Sones (Sones is a broader measure of sound than decibels.) Exhaust capacity 100 - 125 sq. ft. The Builder’s choice for Green construction. 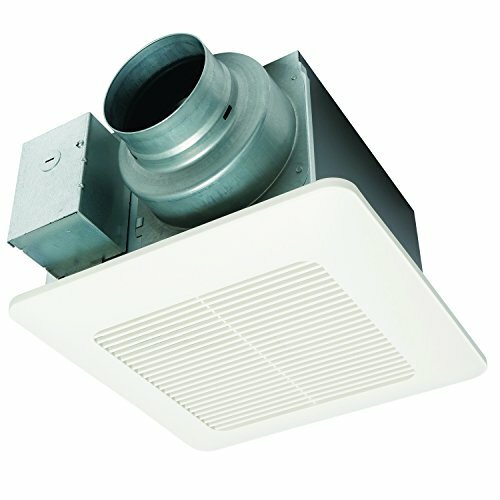 Delta breezgreenbuilder ventilation fans mark a new achievement in bathroom ventilation for Green construction. 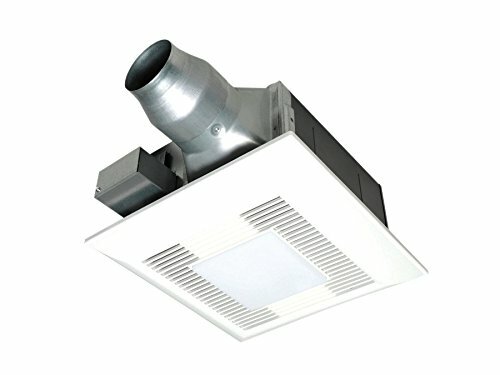 Built upon market-leading energy efficiency, exceptionally low power consumption and quiet operation, the breezgreenbuilder series offers a CFL or LED light option as well as humidity sensing option with continuous low speed control. Breezgreenbuilder stays true to what has made the GreenBuilder series a winning value proposition for builders and contractors: a super reliable Delta dc brushless motor, a compact lightweight design for quick installation coupled with sound and flow ratings that far surpass building requirements...all at an affordable price. Brand: Delta Electronics (Americas) Ltd. 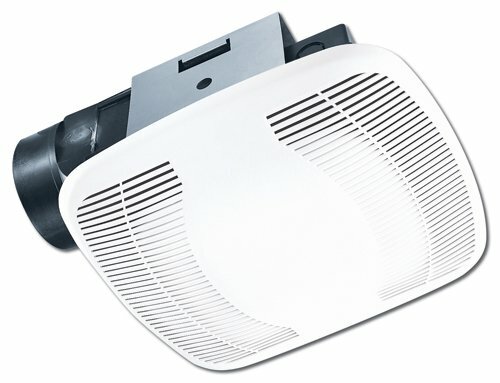 Compare prices on Bath Vent at ShopPlanetUp.com – use promo codes and coupons for best offers and deals. We work hard to get you amazing deals and collect all available offers online and represent it in one place for the customers. Now our visitors can leverage benefits of big brands and heavy discounts available for that day and for famous brands.